Nominations are accepted by the Conservancy January 1 of each year through November 1. The project must be complete at the time of submission. Self-nominations are welcome. For more information and entry details, please click here. 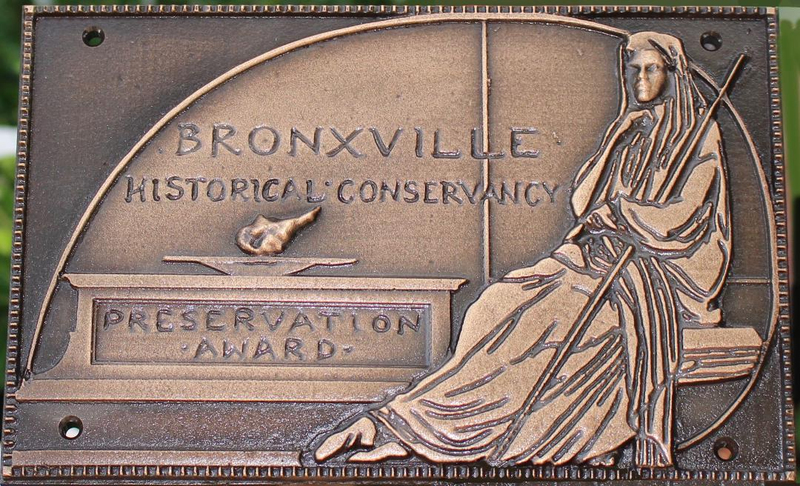 Recognizing the Bronxville Public School for its interior renovation of the Bronxville High School auditorium, the Conservancy’s 2018 Preservation Award was presented to Dr. Roy Montesano, superintendent of the Bronxville school at the December Annual Meeting. The Preservation committee believed that the renovated auditorium strongly demonstrates sensitivity to, and compatibility with, the original 1922 design and overall aesthetic, and exhibits a seamless interior integration with the building. In December 2017, the year’s Preservation Award was presented to Sarah Normand, chair of the board of trustees of the Bronxville Public Library on behalf of the Bronxville Public Library’s art collection. The art collection was selected as a demonstration of excellence in stewardship, as well as preservation, restoration, and conservation. “This award is particularly meaningful in that it recognizes ‘stewardship,'” remarked Normand. “So many community members over the years played a part in the restoration, cataloguing, appraisal, security, and overall conservation of this collection.” She thanked members of the Friends of the Library, the trustees of the library, and curator Jayne Warman for their efforts in preserving this important collection of American paintings, drawings, sculpture, etchings, and prints and securing Bronxville’s history as an art colony. 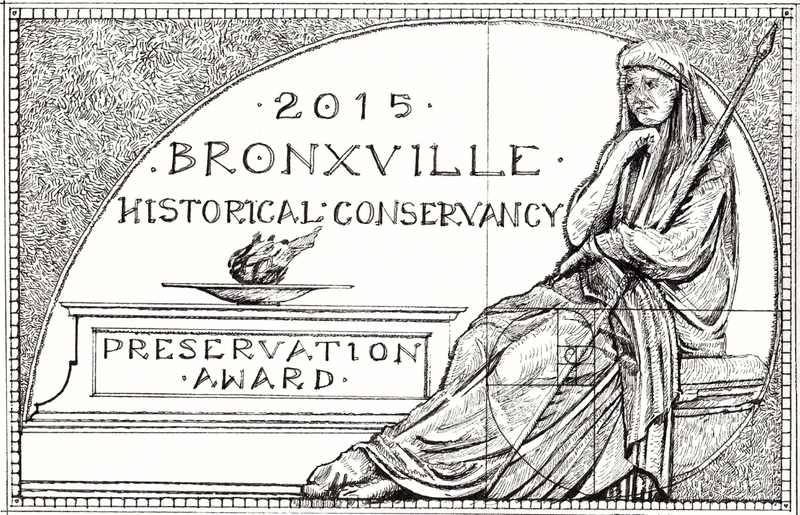 At the 2016 BHC Annual Meeting and Holiday Party, the Bronxville Historical Conservancy presented the 2016 Preservation Award to the Exterior Restoration of the Prescott Farm Gate Lodge, Historic Headquarters of Lawrence Enterprises, currently the 4 Valley Road office of Houlihan Lawrence. The Bronxville Historical Conservancy presented Peoples United Bank the 2015 Preservation Award inThe Conservation of Architectural Elements Category to Peoples United Bank for their restoration of the 1920s Gramatan National Bank clock.